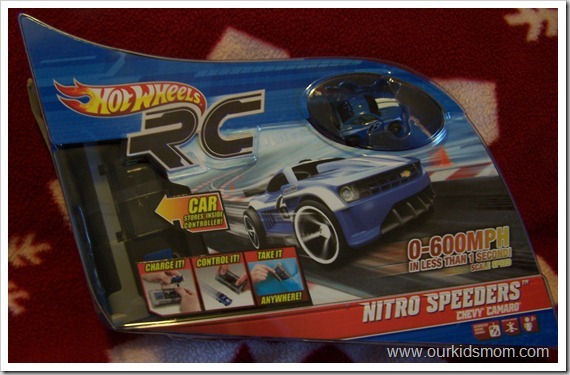 Engineered for extreme speed, this highly responsive R/C car delivers amazing performance! The micro but mighty vehicle lets you race anytime, and place with scale speeds up to 600 mph! 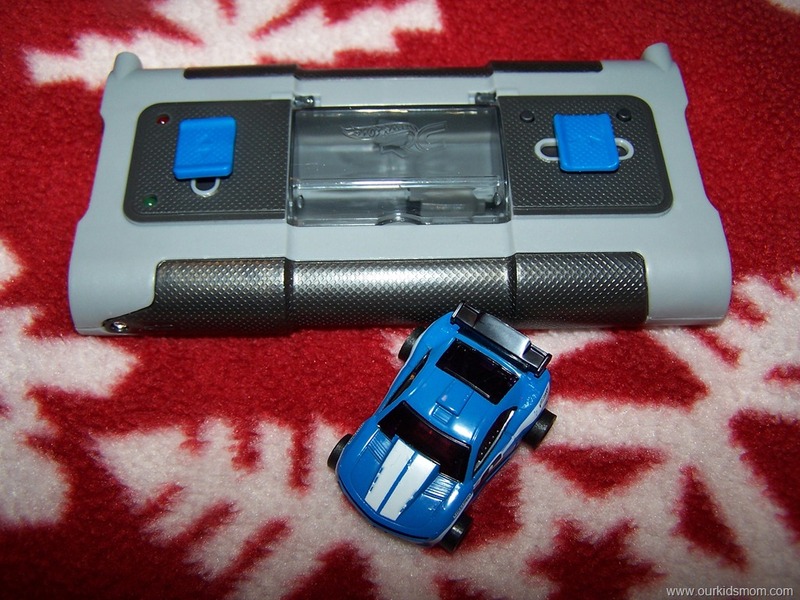 Plus, the car comes with a carrying case that serves as a remote control & charger. 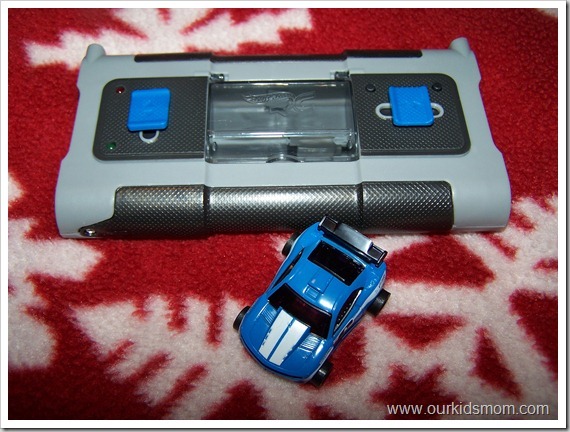 This remote control car was at the top of my son, Micah’s, Christmas wish list. He even said that if he didn’t get it for Christmas, he would want it for his birthday (which is 6 weeks later). He wanted to MAKE SURE he got it! When I first saw the packaging, I was impressed with the small size of the car. It is only about the size of a quarter! 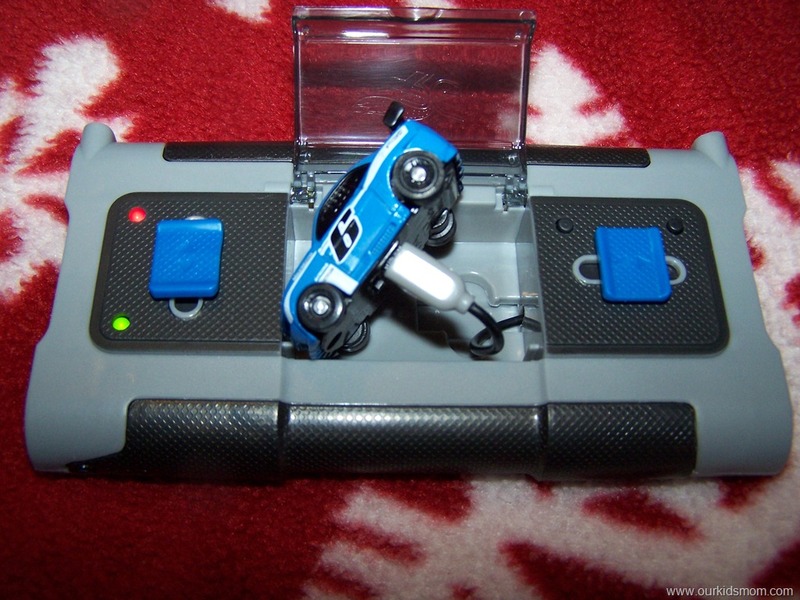 I then took notice of the charger/controller which is also small & compact. 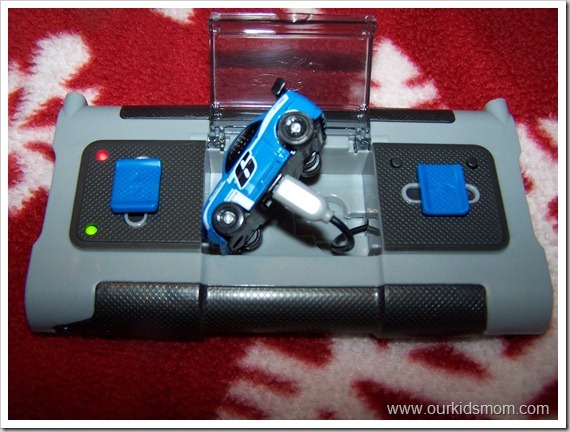 Another plus, is that the charger/controller also stores the car when not in use. He will be able to take this anywhere & it doesn’t require lots of packing. He can literally grab it & go! Before using the car, it needs to be charged, so I put 4 AA batteries in the charger, plugged it in and let it set for about a 1/2 hour. 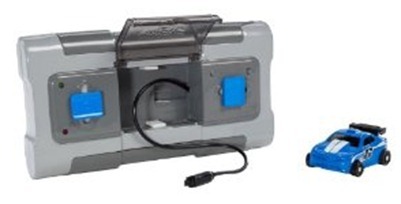 Once it was charged, I turned it on & tried it out. My first reaction was “Whoa!” It really moves fast! Not only does it move fast, but it handles really well. I played with it for awhile & noticed that it’s pretty quiet too. 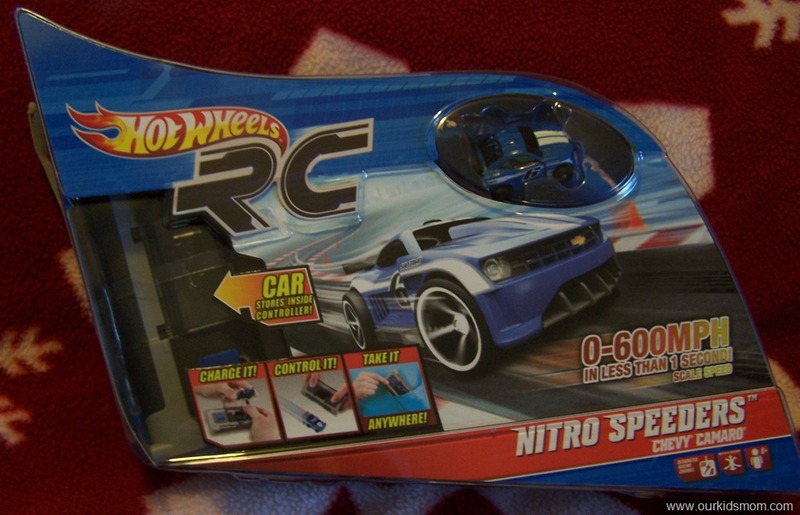 Some other R/C cars Micah has gotten in the past have been fairly loud & annoying. I won’t mind him playing this one in the kitchen while I’m cooking dinner. Added bonus: There are other types of vehicles you can purchase and they each have a different radio frequency so that they don’t interfere with the one next to it. This is great for racing cars in the same area. This toy is recommended for ages 8+ and I agree completely. It’s so quick that a younger child probably wouldn’t be able to handle it very well. There are also small parts, so it’s something to keep in mind if there are little ones around the house. This toy gets an A+ from me. It’s really fun! I cannot wait for Micah to open this on Christmas morning!